I love stuff that uses up the leftover juice in batteries. 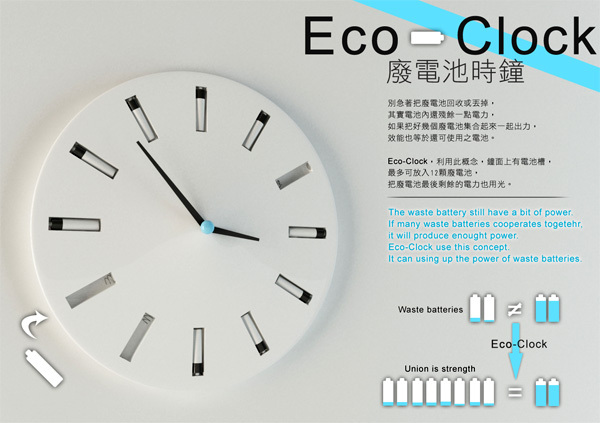 Millions of batteries get thrown out annually which actually have leftover juice in them. Alone they can't do much, but combined with other batteries, their collective power can still be useful. 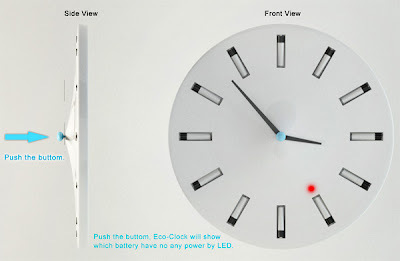 For that, all you have to do it to push the button in the middle of the clock face and a little light next to each number of the clock face and the light will go red or green to tell you if that battery still has a little life left in it. 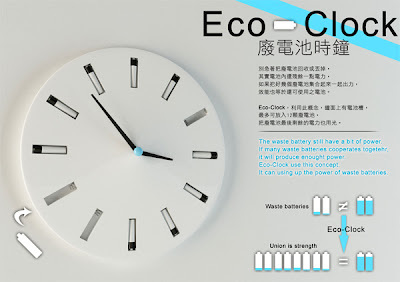 It won't keep batteries out the landfills, but it can make sure they are fully used up before you do throw them out. Which is 2 less batteries for your kitchen clock, or that much less electricity. And that's good enough for me.